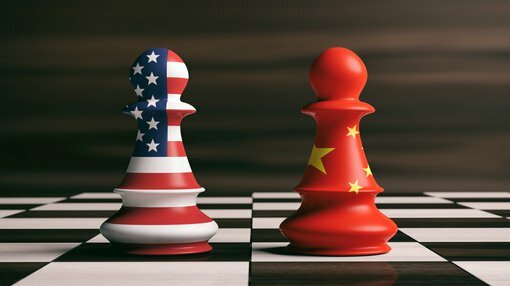 Could the US/China trade war soon end? It looks as though President Trump may be able to get over one wall this week, following the announcement that he would consider delaying a March 2 deadline to reach a trade deal with China. The President suggested that should talks with Beijing go well, the United States might not impose higher tariffs on Chinese goods. “If we’re close to a deal where we think we can make a real deal, I could see myself letting them slide for a little while,” Mr. Trump said. Currently, the United States will increase tariffs on $200 billion worth of Chinese goods to 25 percent from 10 percent. However, negotiations are now back on the table and the markets have reacted well. The Dow Jones Industrial Average rose 372.65 points to close at 25,425.76, led by Caterpillar and 3M. The S&P 500 climbed 1.3 percent to 2,744.73 as materials, consumer discretionary and financials outperformed. The S&P 500 also closed above its 200-day moving average for the first time since 3 December. The Nasdaq Composite advanced 1.46 percent to 7,414.62. The sentiment could also be attributed to news that US lawmakers had secured a tentative deal on border security funding. According to analyst Michael Ivanovitch, writing for CNBC markets shouldn’t overreact, even if no trade deal with China is reached. “But markets should not overreact to no trade deal with China,” Ivanovitch writes. “US exports to China represented only 7.2 percent of total American sales abroad from January to November last year, according to the Bureau of Economic Analysis. Here at home, despite bank stocks rising last week following the release of the Hayne Report, they are not out of the woods yet. The Labor Party intends to introduce amendments in the Senate designed to strengthen penalties in the corporate and financial sectors that would increase jail time for the most serious corporate crimes from 10 years in prison to 15. A further amendment would double the government’s proposed cap on financial penalties for big businesses to $525 million. Best to follow Dale Gillham’s advice here and think about staying away from the financial services sector “until we know what direction it is heading”. Having said that the market opened with a small drop this morning, but looks to be turning following gains to Westpac, NAB and ANZ.